Mrs. Elsie Stephens, 78 years old, of Jackson died at a local hospital at 10:16 Sunday night. The body is at Wards Funeral Home at Lutesville. Funeral services for Mrs. Elsie Delph Stephens, 78 years old, of Jackson were conducted today at the Ward Funeral Home. Burial was at the Bollinger County Cemetery. Mrs. Stephens died on Sunday night at a hospital in Cape Girardeau. She was a daughter of the late Mr. and Mrs. John E. Penturf. 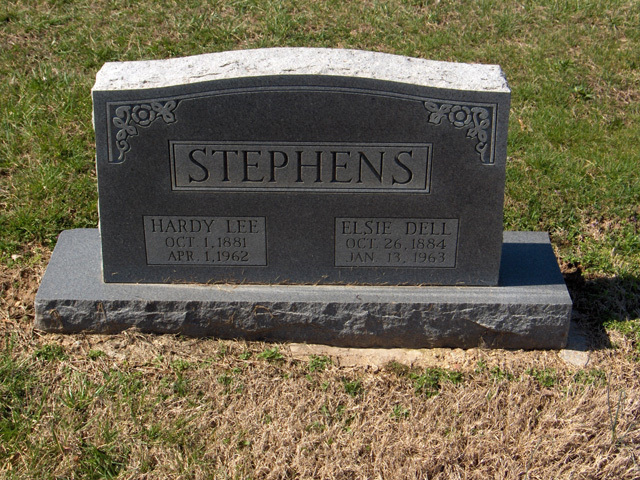 She was the wife of Hardy L. Stephens, who died last April. Surviving are six sisters and a brother, Mrs. Meddie Hersinger of Cape Girardeau, Mrs. Abbie Proffer of Jackson, Mrs. Bell Rhodes, Mrs. Snoda Summers, Mrs. Georgia Barks and Mrs. Tessie Allmon, all of Whitewater and Wilson Penturf of Piedmont.